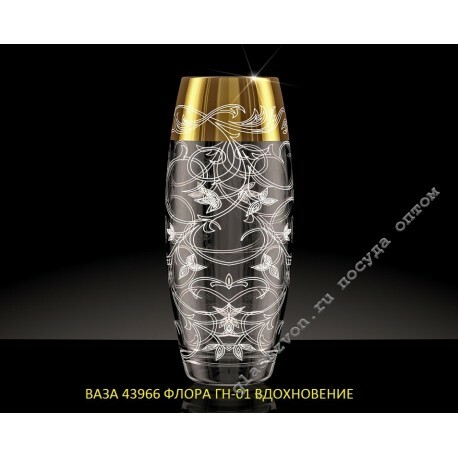 "Inspiration" is one of the positions of the category " vases made of glass." Wholesale from the manufacturer and a batch of any volume - buy this article in our online store. 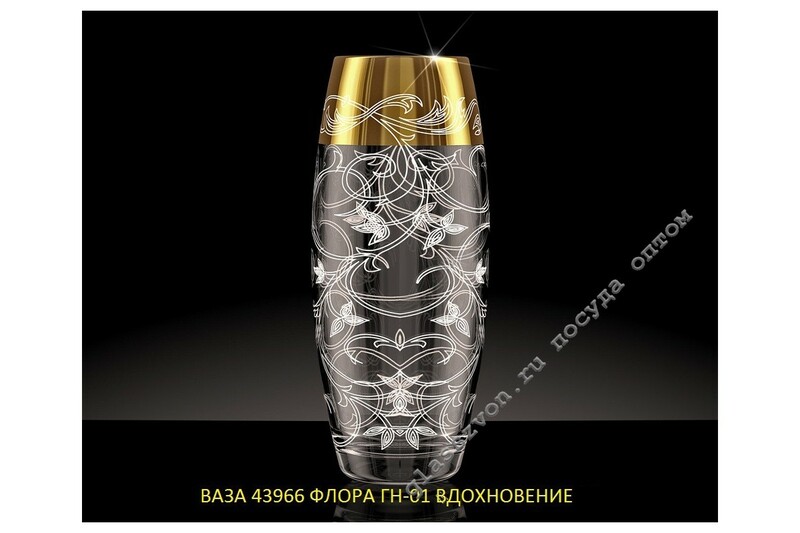 The vase with a gentle engraving and elegant gold dusting will decorate the living rooms and bedrooms in the style of "Empire", decorated in light colors. Thin, round lines of a flower ornament and the classical form of the truncated oval are created for wide consumer audience. Reasonable prices, quality and fast delivery - pleasant pluses of our wholesale online store.